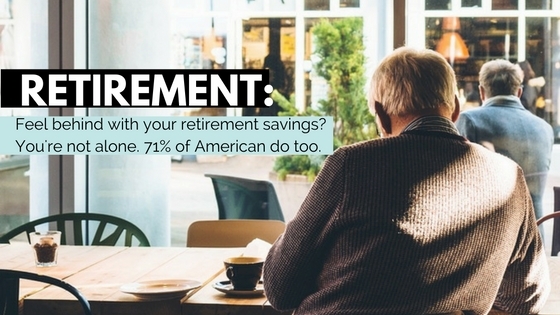 Knowing you aren't saving enough for retirement isn't a great feeling, but at least you are not alone. A full 71 percent of Americans say they are behind on their retirement savings and more than half, 54 percent, believe they will never pay off their debt fully, according to a new national survey commissioned by Experian together with Get Rich Slowly and other top U.S. personal finance blogs. Entering retirement with a large debt load is risky, experts say, and older consumers are carrying more debt — mortgage, credit card, even student loans — into their retirement years than ever before, according to data by the Consumer Financial Protection Board. These worrisome trends are part of a wider concern regarding income, debt and retirement, the consumer poll among 1,000 U.S. adults revealed, despite a generally strong economy, low interest rates and an unemployment rate that has been steadily declining since 2010. Strong emotions also accompanied questions about whether individuals felt they were headed in the right direction with their personal and family finances in total. Forty-three percent of Americans feel more secure in their finances than last year, but a majority (58 percent) feel the same or less secure than before. “While some consumers are on a good path with their finances, others are struggling. The best way to improve your situation is to become more educated about managing money and debt,” said Rod Griffin, director of public education at Experian. Max out your contribution to your company 401(k), especially if your company matches funds. Do whatever it takes to free up this money from your monthly budget. Even contributing 1 percent more of your paycheck will matter over time and you will hardly notice the difference in your take home pay. You can often make this change online and in mere minutes through the company holding your 401(k). (Seriously, go do this right now!) One study from Vanguard found that one-third of their “defined contribution” plan participants — a 401(k) — deferred less than 4% of pay. Go beyond the 401(k). 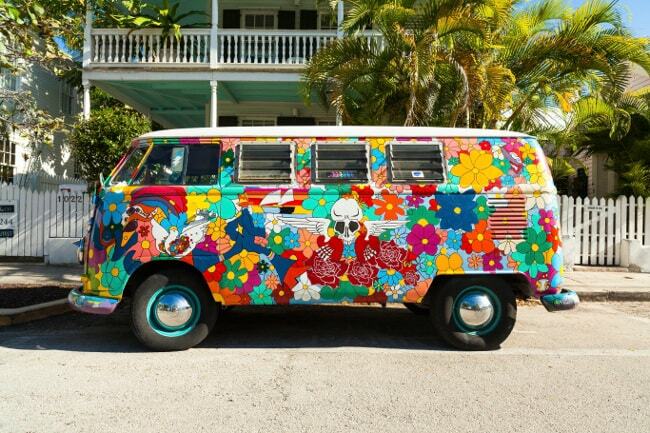 There are additional retirement vehicles out there and they are plenty easy to start up. Here's the how and the why of opening a Roth IRA. You will want to shop for one that has a low minimums. Stop viewing your retirement fund as a cushion for future college costs. Excessive student loans can absolutely saddle your children with awful debt, but it's not all or nothing. Be pragmatic. If we are talking about reasonable student loan debt, most 20-somethings can look forward to many years of increasing earnings at the same time they have the most modest lifestyle needs. You will not be able to say that during retirement, with a fixed income and increasing health-care costs. Fidelity, for one, advises its clients to keep those retirement savings accounts separate and learn all the ins and outs, such as how colleges will treat distributions from IRAs as income when calculating financial aid packages. In collaboration with Experian, the invited bloggers contributed questions to the survey. Those were: Amanda Abella of AmandaAbella.com, Elle Martinez of Couple Money, Toni Husbands of Debt Free Divas, Andrew Schrage of Money Crashers, Tonya Rapley of My Fab Finance, Whitney Hansen of WhitneyHansen.com and David Carlson of Young Adult Money. The online survey was conducted by Edelman Berland on Experian's behalf from August 2-9, 2016, among 1,000 adults 18 years of age or older who reside in the United States. This online survey is not based on a probability sample; therefore, no estimate of theoretical sampling error can be calculated. For complete survey methodology, including weighting variables, please contact Get Rich Slowly editors. School is (almost) back in session. That means fresh notebooks, new backpacks and outgrown sneakers that need replacing. It's an exciting and expensive time of year. Before the first bell even chimes many of us will have shelled out several hundred dollars per child. The National Retail Federation backs that up. Its annual survey finds parents with kids in K-12 plan to spend an average $673.57 for back-to-school necessities this year, up 9.6 percent from last year's $630.36. If that number seems excessive, you aren't alone. That's a big hit to the household budget. Join our live chat below to learn from fellow parents and personal finance experts on how they plan on making back-to-school affordable. Update: Our live blog has ended! Leave your best advice in the comment section. Thank you to everyone who participated. So, you've decided to enact some savings strategies. You've banned takeout, swapped all venti fat-free lattes for the trusty Mr. Coffee at home, staged the yard sale, cut the cable, dropped the landline, raised your insurance deductibles, brown bagged every single lunch for months, and … plan to limit the A/C all sweatin'-summer long. But you still need to build your emergency fund. What can you do? 1. Automate it . This is easier than ever and surprisingly effective. Have your bank, credit union or mobile app siphon off a small amount each payday. Learn to live on what's left. Increase the amount slowly to give yourself time to adjust your spending. One company, Digit, offers a free mobile app that you can connect to your bank accounts. The app checks your spending patterns and moves money it's calculations say you can afford to miss into a Digit account. If you need the saved money, you simply withdraw it for free. Acorns is another so-called micro-savings account that invests the spare change that it pulls from your purchases by rounding up and puts it into a diversified investing portfolio. Banks like Bank of America offer similar programs. 2. Bank your rewards. Switch to a cash rewards credit card and use it to pay for everything you can (but never more than you can pay off). Save the cash-back. 3. Bank your raise. If you got one, you lucky dog. Here's how: Pretend you didn't get one, and keep on keeping on with your previous take-home pay. Automate the rest into savings. 4. Bank your bonus. If you get any kind of extra cash at work, spend 10 percent of it on something you really need (or want) and save the rest. 5. Bank your reimbursements. Getting paid back for work-related expenses or a check from your flexible spending account? If at all possible, put it into savings rather than checking. 6. Bank your coupons. You saved $6 on the groceries? Swell! But it's not savings unless you save it. Tuck away those discounts from manufacturers coupons and/or your customer loyalty card. 7. Drop bad habits. It's tough to quit smoking or, for that matter, to stop buying comic books. But as you taper off, put what you would have spent on coffin nails or anime into long-term savings. 8. Recognize good habits. Rather than having a “swear jar” with a penalty for every F-bomb you drop, why not have a “Go you!” jar? Maybe you packed a lunch today instead of eating out — go you, then, and put a quarter (or more) in the jar. 9. Recreate favorite habits. Do you meet friends for brunch or lunch every weekend? Replace at least one of these gatherings per month with meals at home (and take turns hosting). Hooked on opening-night movies? Learn to appreciate the bargain Saturday matinee, right after a big breakfast that will keep you from dropping a fortune on popcorn. 10. Round it up. When you use your debit card or write a check, record it for the next dollar up (e.g., $7.29 becomes $8). At the end of the month, add up the differences and transfer to savings. 12. Launder some funds. Every time my partner and I do a load of wash, we put $2 in a jar. Try this — you'll be surprised how quickly it adds up! 13. Swipe some cash. Look at your checking-account balance on the day before payday. If there's $117 in there, send $7 (or $17, or more) into savings. 14. The spare-change challenge. Dump some or all of the change from your wallet/pocket into a jar every night. Once every couple of months, wrap it and bank it. 15. The dollar-bill challenge. Remove all the Washingtons from your wallet every night. And here's the super-flush version: Make it the $5 challenge. 16. Random number challenge. Pick a number, then check your wallet nightly for bills whose serial numbers end in the digit you've chosen. Set them aside to bank. 17. Weekly challenge. Actually a monthly challenge: Set aside $1 the first week of the month, $2 the second week and so on. Bank the resulting $10 to $15 per month. 18. Calendar challenge. The first week of January, bank $52. The second week, $51. Etc. This can be tough at first, but by the end of the year you'll have banked $1,378! 21. Get symbolic. Deposit your age, or your children's combined ages, every week or every month. Suppose you want to retire by age 50? Deposit $50 into savings every month, or every week if you can swing it. 22. Bill yourself. Turn savings into a monthly obligation, and pay it. The “bill reminder” feature on sites like Mint make it easy to hold yourself accountable, so to speak. 23. Remind yourself. Rubber-band a picture of your dream (new house, backpacking trip, whatever) to your credit card to discourage in-the-moment spending. 24. Remind yourself, Part 2. Change an online shopping account password to something with personal resonance. Signing on with “Sept2016uClA” will remind you how soon your oldest kid starts college — which in turn might help you apply the want-or-need filter before you click “purchase.” Talk about password protection! 26. Choose an online bank. That way it takes a couple of days to get the money. You might come to your senses by then and realize that a new fishing rod isn't the best use of your funds. 27. Name your bucks. Does your financial institution let you set up sub-accounts? (I've got two named for my great-nephews' college funds.) Contributing to the “new car for cash” or the “summer vacation” fund has its own special frisson. 28. Engineer discounts. Pay for the items you need most often with discounted gift cards bought on the secondary market. For example, buying a $100 PetSmart card for $87 and a $50 Walgreens card for $44 means you could transfer $19 into savings. What are your saving tips? 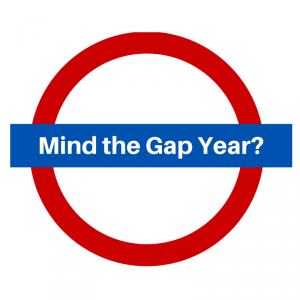 Gap Year Programs: Where do you Stand? “Gap years” are nothing new, but it was still pretty surprising when the most watched college decider in the nation – Malia Obama – elected to defer her entrance to Harvard University. My immediate reaction as the mother of a high school freshman was…pretty impressed. It's never an easy decision to go against the grain of expectations and most 17- or 18-year-old's reaction to a Harvard acceptance letter would be so long folks, hello Cambridge. Pros: Getting to know yourself better. Seeing the world outside your town and your family. Gaining a fresh perspective on life. Greater maturity. All excellent reasons to take a gap year. A gap year may also give students and their families extra time to work and save for college, the cost of which most experts say will continue to rise 6% each year. This, while personal income increased just 0.4 percent in March, according to the latest figures from the Bureau of Economic Analysis. Cons: Deciding if you should defer an acceptance to Harvard is about an elite decision as you can get. What about kids who want to take the gap year with no acceptance in hand, or one from a college that hasn't been so vocal in its support for the concept like Harvard? What if the allure of college dims during the year? And to be certain, poorer students face unique challenges when considering this post-high school sabbatical. Many colleges will expect a fee to hold your place or warn that certain grants such as Educational Opportunity Fund awards are “specific to each academic year and may not be deferred” as one university detailed. That could be a deal-breaker for many. Lastly, the more organized, overseas travel-based gap year programs can be expensive, upwards of $30,000. It seems from an economic perspective, the cons may win out if money is an issue. But part of our mission at Get Rich Slowly is to focus on living and spending in a balanced way. Shouldn't this bias us in favor of spending for experiences vs. career-tracking our kids as quickly as possible? If working hard to fund a year of budget travel would make you a more focused college student, isn't that the ultimate smart money move? For more perspective, I turned to our always spot-on Facebook community to see what they thought. I asked: Would you support your child taking a year off before college? I support it and even recommended it to my daughter leading up to her high school graduation with the contingency that she get accepted in college and would formally defer admission for one year. We looked at study abroad and volunteer vacations. Both are expensive. So she decided to go the traditional route. It's idealistic and typically not a good use of time for anyone who has to pay for their own college. It's not accepted in the US and you would have to justify the gap on your resume to a future employer, especially because you'd be working a menial retail job. Getting an entry level full time job is very difficult and you don't want to make that harder. Yup! Wish I would have done it. Especially if you are already accepted into college and can defer for a year. 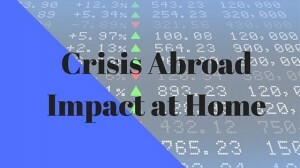 Perfect time to travel or live abroad. Too many Americans know too little, if anything about other countries and cultures. We would all be better off if everyone stepped out of their comfort zone once in a while. I took a gap year between college and grad school. No regrets!! — Vernetta L.
Who takes a Gap Year? The gap year concept is more popular and accepted in the United Kingdom, Australia and Europe, but by all accounts, is a growing trend in the U.S. The American Gap Association, an organization that promotes and tracks gap years, has data that shows the majority of gap year takers are strong students: 62% reported an “A” average in high school. More than 80% would recommend it to another student. Maybe these are the best and brightest? Let us know what you think below or on Facebook. It's hard enough to say no to ourselves when it comes to unnecessary spending — getting that $4.35 latte just because, for example. So why is it always such a surprise when we lose battles against the everyday wants (not needs) of our very determined and savvy children? If this sounds familiar, you aren't alone. Academics and mental health professionals agree that parental feelings about money color how we deal with our children's requests and expectations. One 2014 study by researchers at North Carolina State University and the University of Texas found that parents would talk to kids about saving and budgeting but not about the actual state of family finances. This puts kids at a disadvantage when it comes to smart money management. Plus, it's not like there is a lot of slack in most family budgets. According to the USDA (which tracks such things), the cost to raise a child in the U.S. from birth to age 18 is now an eye-popping $245,000. Solid financial habits are important to instill early. The consequences of money illiteracy are high, from mountains of student loan debt to ID theft or the inability to get a mortgage. The best advice overall may come in the form of something incredibly simple: If you want something, you have to work for it. a laid-back answer like, “You're only young once! Spend away,” as long as they appreciate it. Let us know what worked for you in the comments below. On the off-chance you haven't heard about it, Volkswagen, the German car maker, is in a world of trouble. The company was caught using software to game emissions testing, a flat-out cheating move that affects some 11 million vehicles. Not surprisingly, shares in Volkswagen tanked as soon as the news broke, down now by as much as 30 percent. Shareholders raced to clear their portfolios of anything connected to the now scandal-scarred car maker. At the same time, in lesser headlines, actor Leonardo DiCaprio vowed to break entirely from investing in any companies that promote the use of fossil fuels and urged others to do the same. How far does social investing go? This made us wonder: Should investors — even folks like us who may only have a 401K, a college fund or index funds and the idea is not to make trades — care about the social and environmental responsibility of the companies in which we invest? It's a question on many minds, apparently. According to the most recent figures from the Forum on Sustainable and Responsible Investment, some $6.5 trillion in U.S. assets under management now use so-called “SRI” strategies: sustainable, responsible and impact investing, up more than 75% year-over-year. What do you think? Let us know your take in the comments below if social value is a core part of your thinking as you look to save and invest. If not, why not? We value your opinions. This article started out as the individual experience of one personal finance blogger as he successfully haggled with his cable company to reduce his bill by 33% back in 2009. Unfortunately, that sinking feeling you are overpaying for services such as cable is still alive and well in 2016. But other things have changed dramatically. In 2009, Netflix was still known by many as the company with the red and white DVD sleeves that came in the mail. Hulu didn't launch until 2007. Was there life before Amazon Prime? Not sure. First, figure out if you are willing to pay to leave cable. If you don't mind paying a fee, you don't need four steps. Simply call customer service and ask for your service to be canceled immediately. Ignore all deals or efforts to retain your service. Return all equipment and don't forget a receipt showing you did. Important note: If you get your Internet from your cable provider and don't want a service interruption, make sure you have your Internet-only alternative already set up. If you don't want to pay an early-exit fee, memorize the end of your contract date. In future calls you may hear this date repeated back to you incorrectly and extended far into the future based on some action you probably didn't take. Insist they note the correct date and ask for this to be repeated back anytime you talk to your cable company. Don't forget to purchase a streaming device. Of course you can watch TV directly from the web on your laptop or tablet, but if you want to keep watching from the TV, plan for a Roku or similar device. 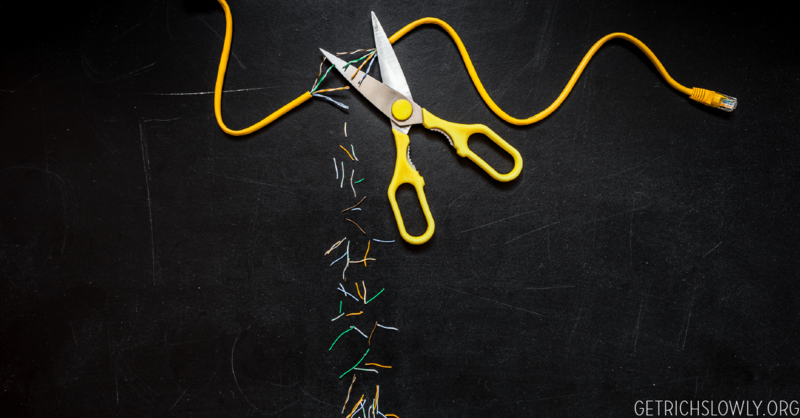 To read another tale of wrangling with cable TV providers, see contributor Rod Kelly's post on the topic of cutting the cable cord. These are all paid, but monthly subscriptions are significantly cheaper than cable. This is the original post by G.E. Miller who gives a real-life example of using negotiation to save money. 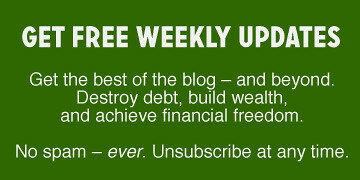 For more from G.E., check out his personal finance blogs 20somethingfinance.com and microfrugality.com. For the third of the country who has no choice but to turn to Comcast for cable television, the thought of price haggling is about as appealing as a root canal. Comcast has a notorious reputation for being unwilling to make their customers happy. Customers of other monopolistic cable outfits across the nation know the feeling. However, the potential savings that can come from limiting a monthly subscription expense can be enormous – that's money that goes straight to your online savings account. What's a frugal person to do? Dealing with your local cable superpower doesn't have to be an intimidating process. And as evidenced by the ease in which I recently cut my cable/internet costs by a third during a short online chat without losing any service whatsoever, you may have similar success. With television service competition increasing and unemployment rates still trending upward, consumers are looking to slice discretionary expenses and service providers may be feeling the pinch to keep them on board. There's no better time to ask than now. Here's my actual chat with a Comcast rep (whose name has been altered to Rizzo to preserve his anonymity). Afterward, we'll discuss some universal price haggling techniques to better prepare you for your interaction. analyst Rizzo has entered roomRizzo: Hello G.E., Thank you for contacting Comcast Live Chat Support. My name is Rizzo. Please give me one moment to review your information. Rizzo: Hello G.E., I will be happy to assist you today. How are you? Rizzo: How may I assist you today? I'm good. Thanks for asking. Rizzo: Alright. Let me check my resources for this. G.E. : A buddy of mine was able to get $39.99/mo. for digital preferred for a year. Rizzo: Can I have your account number please. Rizzo: Thank you for that. I will now check on the account. Please bear with me. Thanks. Rizzo: G.E, I have checked the account. You have our Digital Preferred package for $74.94, DVR for $9.99, Internet $42.95 and Modem Rent for $5.00. I will now check on my resources to lower your bill. Rizzo: I have checked my resources. I can offer you Digital Preffered $54.99 for 12months and Internet for $19.99 for 6 months. G.E. : Can you do $44.99 on the cable or 1/2 price DVR and extend the internet to a year? Rizzo: With this your new monthly charge will be $89.97. Thats the best promotion available G.E. Rizzo: Thanks. Do you want me to process this one for you? Rizzo: The Internet Code is only good for 6 months. That's the best price I can offer you for internet. However, you can check back on us again next quarter to check if there's another promotion available to you. Would that be okay? G.E. : What's my TOTAL bill now, and what would it be after your offer? Rizzo: Your current monthly charge is $132.88. With this offer your monthly bill is $89.97. G.E. : Preferred is what I presently have, correct? Rizzo: Yes, the offer that I have is also a Digital Preferred package. Do you want me to proceed and process this one? G.E. : Yes, can you send me an email confirmation? Rizzo: Unfortunately, I cannot. The process will take effect immediately. You will see this rates adjusted on your next bill. Rizzo: Shall I process this now? G.E. : thanks Rizzo, you're a good man. Rizzo: You're welcome. I'm still processing. Please bear with me. Rizzo: G.E., I already have processed the order. The new charges includes Preferred $54.99, DVR $9.99, Modem $5.00 and Internet $19.99. Your new monthly charge is $89.97. Rizzo: Do you have other concerns for today? I will be glad to assist you further. Rizzo: You're welcome. By the way, to properly close this chat room please click on the END SESSION button. Thank you. I hope that you can find time in answering the 3 question survey after this chat. Thanks. So what can you take away from this chat transcript? There are a few universal haggling techniques that are applicable to just about any price haggling scenario. 1. Don't be afraid to ask. Asking to cut my bill worked. Amazed at how simple it was to cut more than I was aiming for from my bill immediately, I asked for an even bigger cut. That request was denied (not to my surprise or dismay). Truth be told, I'm not sure that any of the techniques I used triggered the better offer, but I do know one thing — had I been afraid to simply ask for the price break, I would have never gotten one. Rule number one is to overcome your fear and just ask. Congeniality is king when interacting with CSRs. Being rude only infuses CSRs with the desire to deny your request. CSRs aren't paid near what they should be, and probably don't have the highest job satisfaction levels. If you can appeal to their gentler human-side, you win. Spit fire at them, and they will slam the door on you with pleasure. 3. Refer to the competition. I had heard that Comcast was motivated to be a little more giving with the entrance of AT&T U-Verse cable into the marketplace (at lower prices). I'm not sure that it helped in this specific case, but referencing the competition specifically or generically (if its offerings are weaker) rarely will hurt you. More than anything else, I wanted to lower my cost, and that's what I asked for. Someone I know had received a better price than I was paying and I stated that fact. Knowing what kind of promotions the company is offering to new or exiting customers is essential to getting the best deal. When it comes down to it, if you can quit your service and then re-start it the next day at a cheaper price, the company knows it has little incentive to let you leave without matching that offer. 6. Look for special circumstances. I'd heard that working with Comcast online chat representatives often yielded better results because the reps weren't actual Comcast employees, and therefore had lesser incentive to play the hard line. That's why I chose the online chat route versus the phone. 7. Let them make the first move. Before the chat, had I not received a cost break, I was willing to cut my service levels. I didn't offer that right away, and it turned out that I didn't need to. Don't show all your cards right away. I now know that Comcast has promotions available on a quarterly basis. I also know that there are “codes” for both Internet and cable. Both pieces of info should help me in future negotiations. Hopefully, they'll help you as well. Have you had similar success haggling with your cable company or ISP? What do you attribute it to? What kind of a break did you get on your bill?